Before you can get your keys to your new home there are many costs associated with the purchase. When you see an ad for a home which shows the asking price, that is not the total amount you will be expected to pay. When thinking of purchasing a home you will have to take these costs into consideration. Here is a breakdown of all the closing costs you will be expected to pay, most are one-time fees. When making an offer to purchase a home its always a good idea to get a reputable home inspector to assess the home. A home inspection will determine if there are any minor or major issues with the home that need to be fixed. If you find problems with the home, you will be able to walk away from the deal. It is not mandatory to get a home inspection; the costs will be subject to the buyer of a home. Approximate cost of a home inspection is $300-$650+depending on the type and size of the home. In some cases, your lawyer will recommend you acquire title insurance on your property. This insurance is optional and will protect you from any problems in the title of your home in the future. This means if there ever is a dispute over any part of your property such as title fraud, municipal work orders and zoning violations. Approximate cost for title insurance is $250-$400. All lenders will require you to get fire insurance for the home you wish to purchase. Before they send any funds, they will require proof that the home will be insured on closing day. Approximate insurance rates per month range around $50-$200 per month depending of the value and size of the home. When setting up your mortgage you can consider getting insurance if for any reason you are injured somehow and are not able to work and produce an income. This will protect you to cover the costs of your mortgage while you are ill or disabled. When any property in Ontario is bought and sold, when the title of that property is transferred there is a Land Transfer Tax payable to the government (certain situations don’t require a tax). If you live in Toronto, you will be subject to an extra municipal tax. If you are a first-time home buyer, you can qualify for a rebate from the government after paying this tax. To find out how to apply for the rebate go here. Approximate cost for this tax vary on the purchase price of your home, you can use a land transfer tax calculator here. Newly constructed and substantially renovated homes may be subject to GST or HST. If you pay GST and HST, you may qualify for a new housing rebate. For more information about the rebate go here. In Ontario if you have less than a 20% down payment, you will be subject to mortgage insurance. This is to protect the lender in case you default on your mortgage. This premium is added to your monthly mortgage payment. This premium depend son many factors which you can see here. Sometimes the owner that you are buying the house from has prepaid their property taxes or condo fees for the whole year. When you purchase the home, you will have to reimburse the seller for the amount that they had prepaid already. When buying or selling a home the buyer and the seller must obtain a lawyer to handle the closing process. They handle title searches, utility searches and any problems that may arise through the process of buying or selling a home. The lawyer’s legal fees and disbursements are subject to GST or HST and range from $600-$2000depending on how complex the transaction may be. 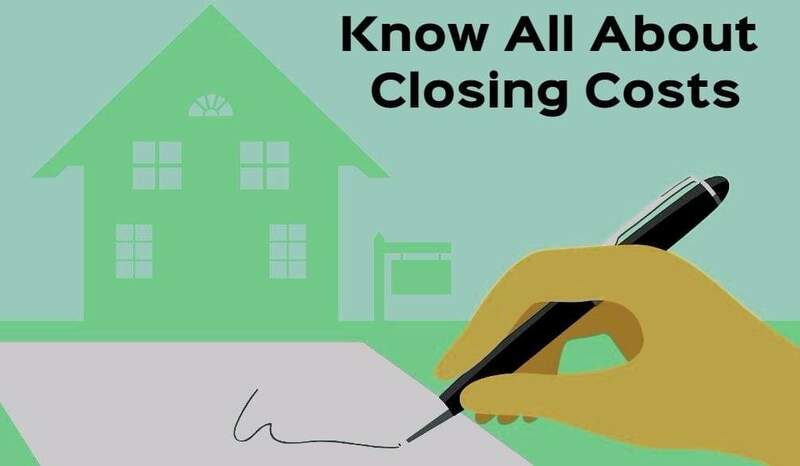 Before starting your home search, it is very important to be aware of all the closing costs involved when buying or selling a home. Contact me for further guidance.